Where Do I Find My ChannelReply Tags? 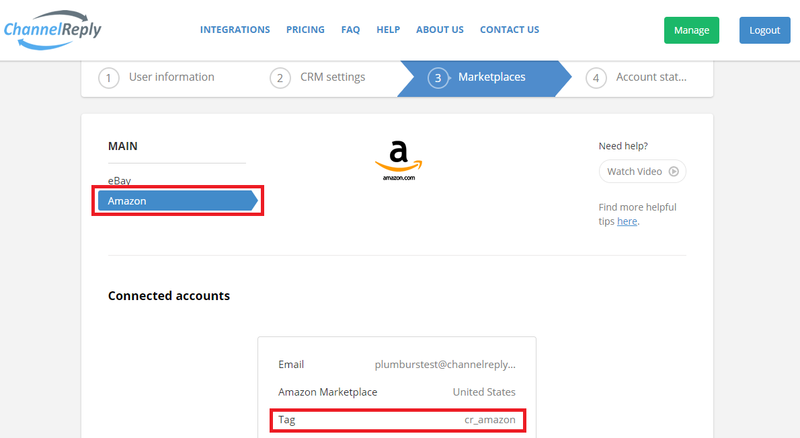 During ChannelReply setup, you create a tag for each eBay and/or Amazon account you connect. If you forget what they are, you can find them by logging in to your account and going to “(3) Marketplaces.” You’ll immediately see the tags for your eBay accounts, if you have any connected. Note: Click on any image to view it at full resolution. Last updated 12/27/2018. To switch to viewing the info on your Amazon accounts, including their tags, click “Amazon” in the left-hand menu. 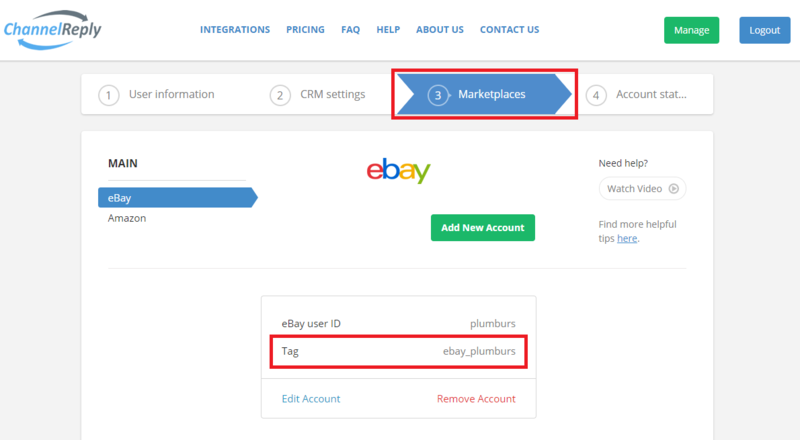 You can also change the tag for any connected account by clicking the blue “Edit Account” text at the bottom of the box for any eBay or Amazon account. Tags are useful for all kinds of features, no matter which helpdesk you use. For example, they can be used to create views in Zendesk or Freshdesk or build advanced business rules.